The house is furnished (if you have furniture space can be found for it) however, bedrooms are not. Best part about this place is that you will have your own bathroom that is attached to your room. Everyone has their own bathroom. 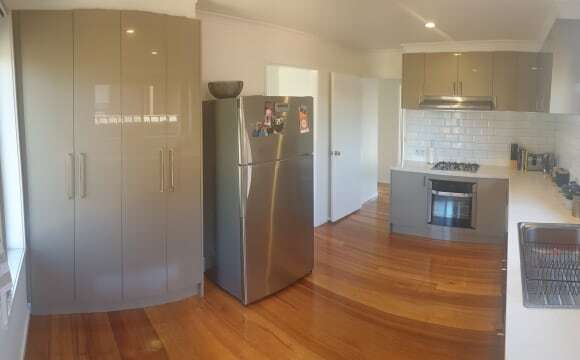 The house is a 10 minute walk from La Trobe Uni and is close to the shops: Summerhill and Polaris. Additionally, there is a tram stop right at the front door to take you where ever you need. Less than 5 minutes from multiple train stations. Next Tram 86 Stop 60 ideal 4 La Trobe International Students. 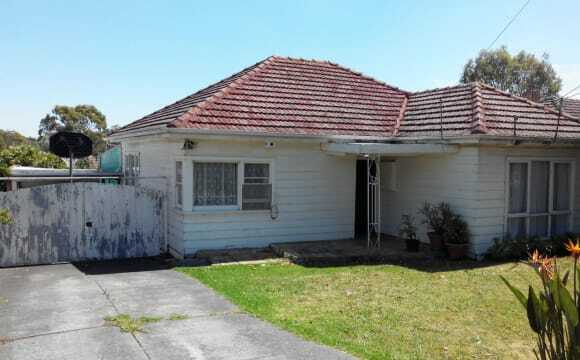 Opposite to La Trobe Medical Centre, Closest to La Trobe University ever, ONLY 600m to Polaris Shopping Centre. The tram and bus stops are just cross the road; The both spacious 14sqm rooms fitted with double bed, ward robe, study desk, and chair, etc.. Please provide a short description (name, male/female, country of origin, intended date to move in etc) for yourself if interested for quick response. 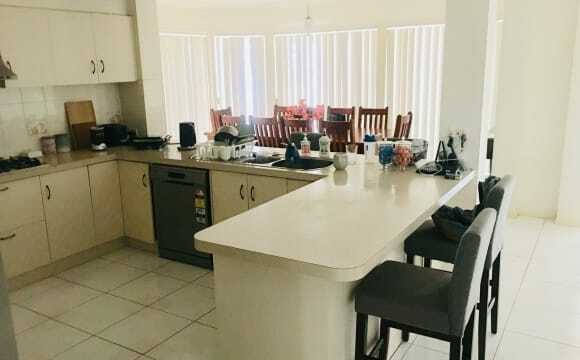 A fully equipped kitchen and meal zone with dining table and chairs; Ducted heating and evaporative cooling; A huge fridge with the capacity of 540L and a second 220L fridge on standby, a microwave oven, and a washing machine provided. Unlimited fast Internet; Contact Peter Li for an inspection. Thanks for viewing. Fully equipped kitchen - French door refrigerator, oven, microwave, rice cooker, blender etc move in straight away. 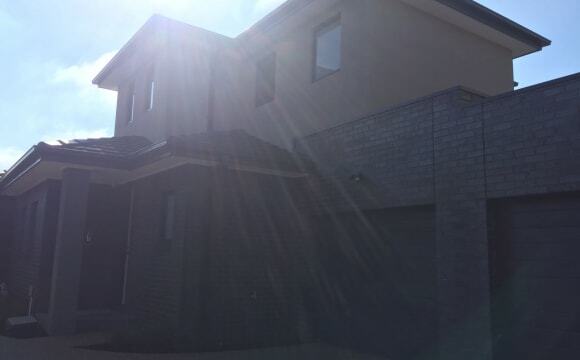 It’s a double story house and 5 bedrooms 3 bathrooms and close to Northland shopping Center / Kingsbury Mall / Bundoora Shopping Center / Summer Hills and La Trobe Uni also RMIT. Bus stop just in the front door and 25 mins train ride from Reservoir Station to Melbourne Central. Please read carefully! 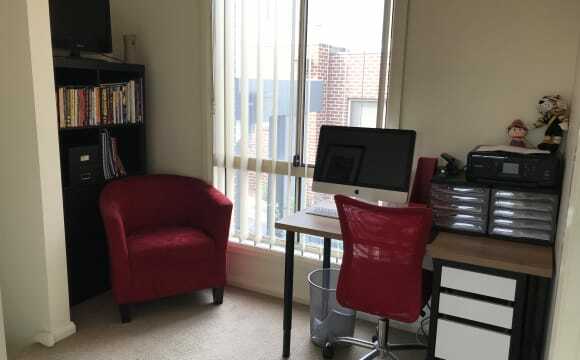 *** Minutes to La Trobe University *** . 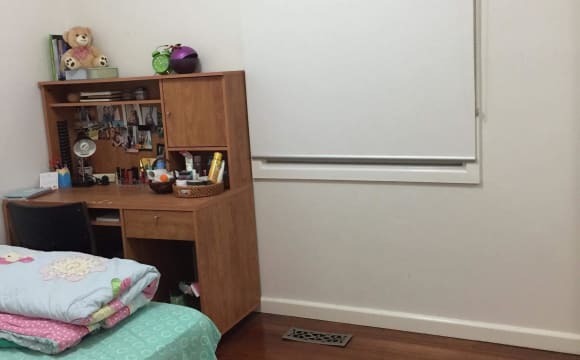 Very safe area, walking distance to La Trobe Bundoora. • Three spacious bedrooms • Ducted heating throughout • Stainless steel kitchen appliances • Gas cooktop • Carpets in all bedrooms and lounge room . ***zer for fiv on on sev nin zer si sev *** There are family bathroom and toilet on each level, whilst ducted heating features throughout. My house is a perfect home for a student who wants a pleasant, quiet home to study in. Neat and colourful, it has water evaporative cooling, ducted heating plus internet and Netflix, Stan etc. There is a lovely courtyard to spend time in too. Your room is bright and sunny, fully furnished and freshly painted with a view overlooking the courtyard. It has a good-sized built-in wardrobe. Your own private bathroom is just beside the bedroom. It is ideally located for a La Trobe or RMIT student: 6 minute walk to Latrobe Uni and very close to Summerhill shops and Polaris (10 min walk). Tram 86 to the city stops just a minute walk from my house approx every eight mins. Bus to Northland also just a minute walk. I am about ten minutes tram ride to Uni Hill outlets. Off-street, uncovered parking available. 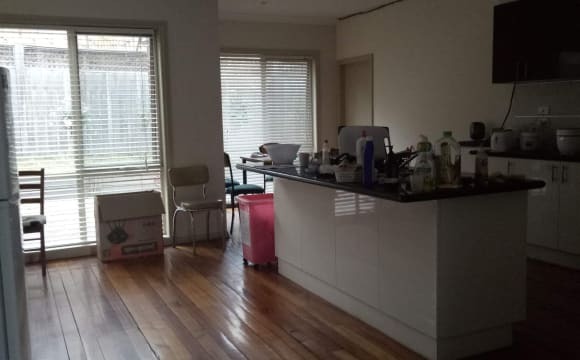 Up for rent is this HUGE room in the leafy suburb of Kingsbury. It’s mostly populated by young families and older people, and it’s a really nice area. Right around the corner from the house is a strip of shops, including a supermarket, laundromat, cafe, and a few take away places. 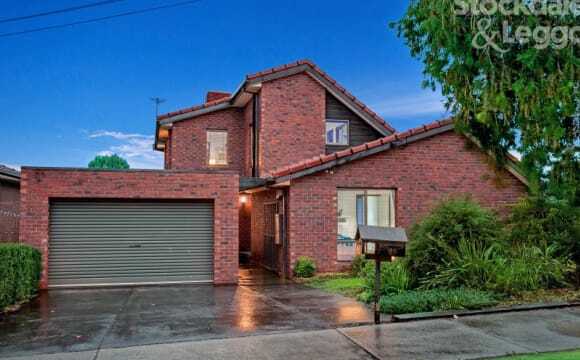 It’s close to La Trobe Uni, the 89 tram line, Polaris, Summerhill, and a short bus ride from Reservoir and Macleod stations. The room is honestly huge, measuring approx 3.5mx4.5m. The rest of the house is well sized, and comes with a recently renovated kitchen and bathroom. The lounge has aircon, which works really well during summer. The house is fully furnished apart from the room, and so you’ll only need to bring your bedroom furniture! The house also has an amazing view of the Kmart lights from the back window, hahah. Bills are additional to rent, and the house has unlimited wifi. The rent is $849.50 pcm. The house is spacious and quiet. Most are La Trobe Uni students. 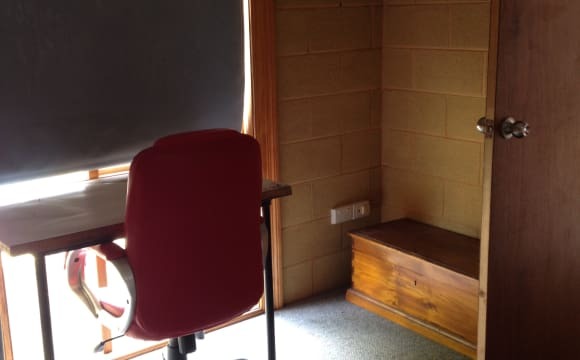 Perfect location for LaTrobe Uni student - 6 months only. 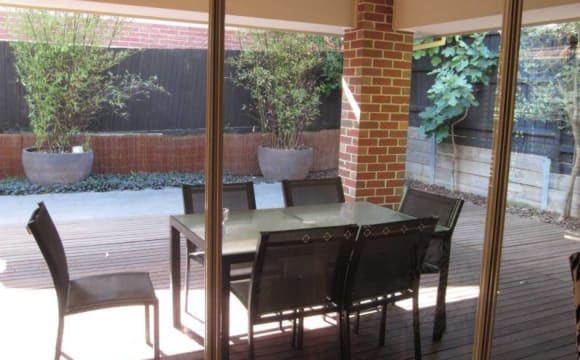 Great location - close to Darebin Creek, the aquatic centre, sports ovals and bike paths. 20 mins walk to shops, train and tram. A short walk to the bus stop for LaTrobe Uni and Northland Shopping Centre. The unit is fully furnished with all the essentials. The bedroom has a built in wardrobe and is basically furnished if needed (more furniture can be acquired too). Has ducted heating, air con, laundry, small courtyard/garden. Rent covers unlimited high speed internet access. All gas, electricity and water bills are shared equally. Must love big dogs as it is his home too. He is completely my responsibility, but he would love to be your friend. Only available for six months and need to be put on to the lease and pay bond. If you are interested please contact me to have a chat and arrange an inspection. 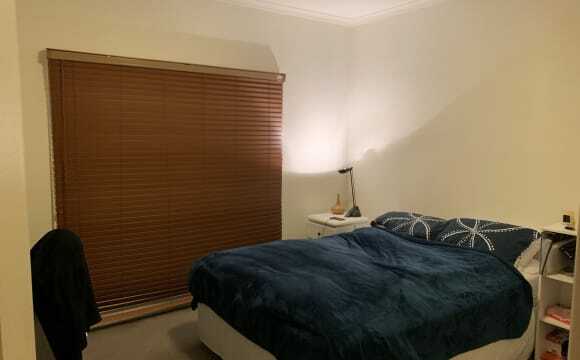 )ne large fully furnished room is available in Reservoir VIC. The room is modern with built in robes. 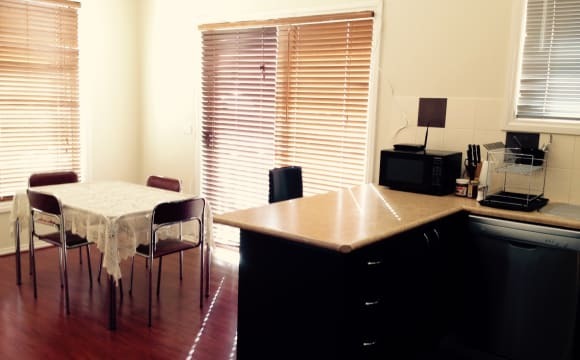 Walking distance to La Trobe University. The house is newly renovated with a new living area, bathroom and kitchen. It has been freshly painted with new timber floors installed in all the bedrooms, hallway, dining room and lounge. Gas cooking and heating are available. Safe off street parking is also available. 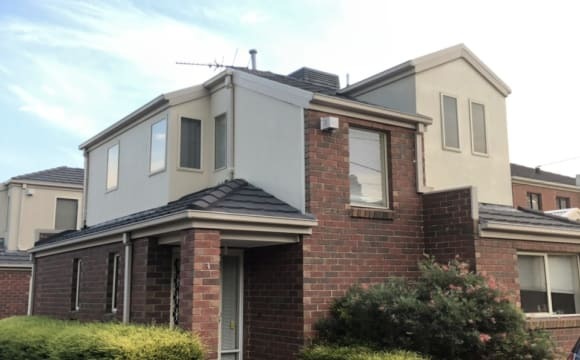 The house is close to public transport - bus stops of routes 552, 561, 566 and Express Shuttle 301 (Between La Trobe University and Reservoir Train Station) are only a 5 minutes walk. Ruthven train station is about a 15 minute walk. Reservoir train station is about a 20 minute walk or a 3 minute bus running. Rent: $170⁄week, share bills. Telstra unlimited internet access available. Washing machine, Bosch gas cooktop, oven, rangehood, fridge, microwave and cooking pots are supplied. Looking for a genuine and nice person who is responsible, respectful, tidy and neat. No smoke, no party, no pet, no drug and no drunk. Only working professionals or full time studying students please. If you're interested or have any questions, please don't hesitate to contact me via message or phone. Thank you. Great location: In POLARIS Shopping Centre, right next to La Trobe University, at tram stop 61, inside Polaris complex with Woolworth, several restaurants with all cuisines, salon, haircut, spa, clinic. Across the road is Bundoora Park. 5 mins tram ride to UniHill DFO and Northland SC. This house is newly built. Behind the complex is a big playground. The house has a big living room/kitchen, modern decor and a BALCONY. A garage for private parking! House is new and mainly furnished but you’re welcome to bring more furniture in. Your room is equipped with a bunk bed, mattress, desk and full mirror built in wardrobe with aircon in your own room. The house has 3 bedrooms, 3 bathrooms. You and 1 other flatmate (right now just you!) will have 2 bathrooms to share. The property is brand new, the room has only been occupied once before. If you don't have a car: You are 8-10 mins walks to Northland Shopping Centre. 567 bus stop right at the corner, this bus runs short trips back a forth between Regent Train station and Northland shopping centre. If you need to get to La Trobe Uni, it's 15mins walk to the tram with another couple of stops straight to Uni. Or, if you have a bike, there's a bike track through the park connecting to La Trobe Uni car park. If you have a car, everything you need will be within 5 mins driving (shops, restaurant, super market). Basically a brand new room is waiting with all conveniences you require. The room is in a beautiful two-story house with a large backyard and garage. 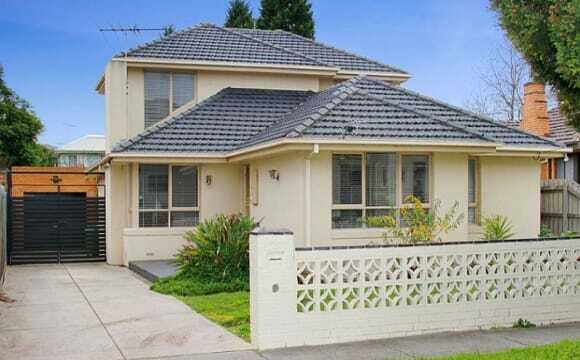 Located at Trudi Court, Bundoora a few minutes walk to Latrobe University. Its also right behind Polaris Town Hall where there's Woolworths, subway and more shops for your convenience. Excellent for girls who want a calm, clean and respectful environment. 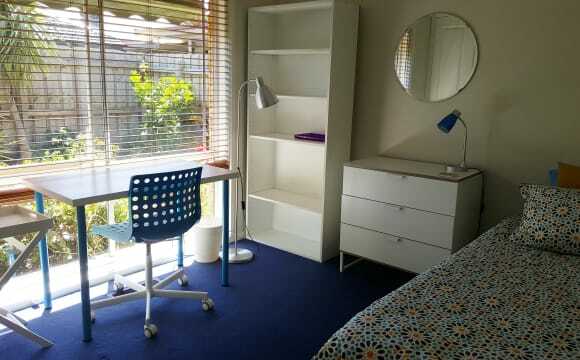 The room has a double bed, a wardrobe with a large mirror, a study table with a chair, a small wooden table and another chair. High speed wifi is already set up in the house. Its $170 weekly excluding bills (which is not usually much each month). Feel free to knock me to come inspect.